Many Australian wines are easy to enjoy, equal to wines produced anywhere else in the world. Full of flavour with an unique Australian bend, these affordable wines are exported to almost every country. Wineries in are cropping up in almost every region in Australia - in places from the Granite Belt and coastal hinterland of Queensland to the NSW New England Tablelands. Its not unusual to find a working, productive vineyard almost anywhere in Australia. In fact, Australia has becomes the fourth largest producer of wine in the world, not an easy feat considering the size of Australia’s population. Australia Wine Regions. Even Alice Springs, in the dry red centre of the country, boasts a boutique vineyard. You can see snow covered vineyards in Orange and vineyards in the dry arid inland, in places such as Cowra and Gundagai. Some of our best wineries are in coastal wine destinations, such as the Limestone Coast of South Australia, Mornington Peninsula, Margaret River and the Shoalhaven coast of NSW. This list is by no means exhaustive and is generally for the well heeled. If you are lucky enough find one or two these bottles tucked away in a Californian or European wine shop, yet affordable because the owner purchased them long ago, by all means, enjoy. There are strict laws governing labelling the geographic origins of where the grapes were grown. Here are some of the most notable regions by state. South Australia is considered the premium wine state. Regions include Adelaide Hills, Limestone Coast, Coonawarra, Barossa Valley, Eden Valley, Padthaway, Mc Laren Vale, the Upper Murray and the Fleurieu Peninsula. Melbourne has its Yarra Valley. With beautiful scenery, many well known Australian wineries are located here with many you can visit and tour. See more on Yarra Valley Victoria. Actually, you can locate Victoria wineries throughout the state. Only 50kms from Perth. Western Australian Margaret River wines are achieving world wide fame. Margaret River also has a world famous surf beach, great lifestyle and excellent cuisine to match. See more on Margaret River. NSW has the Hunter Valley - famous as Australia’s oldest wine growing region. Only a two hour drive from Sydney, the many varieties grown in the Hunter Valley include superb Semillon, Chardonnay, Cabernet Sauvignon and Shiraz. 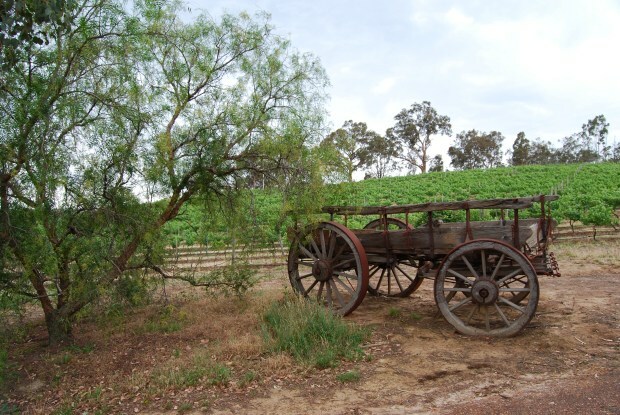 Mudgee, further west in NSW is growing in influence as a wine growing region as well. With the many Hunter Valley winery tours available from Sydney, no need to drive. You can savour them for yourself without having to worry about getting home safely. For Sydney Winery Tours see Sydney Wine Tasting Tours Hunter Valley - you can even tour by helicopter and seaplane Sydney and New South Wales Scenic Flights. Mudgee, further west of the Hunter is another notable New South Wales wine growing region. There are some fine wines produced here, with a country life experience for visitors to the region. Sydney itself has its own wineries, operating around the periphery of the city and there are tours and cellar doors available. A true Aboriginal winery at Murrin Bridge, NSW was established by members of the Ngiyampaa, Wiradjuri and Barkindji tribes. They are now producing wines, have a look. You can also order from them: Red wine from Black Australia. Victoria wineries - the small and compact state of Victoria has Yarra Valley, Rutherglen and Swan Hill in the Murray Region as well as the stunning Macedon Ranges. 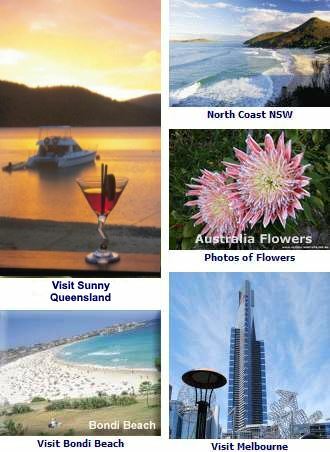 See the Victoria Tourist Guide. Most of the best wineries have cellar door sales, featuring select wines for tasting. Some of them also have gourmet restaurants with extensive wine lists. Which is still and will probably always be a very popular way to attract people to try their wines, no? Australia’s wine regions have a laid back atmosphere with the freshest of produce and fine foods. Easy to enjoy an afternoon chatting over a bottle of wine, meandering from cellar door to restaurant, then back again.